Are working on a graveyard shift? Do you spend a lot of time with your laptop and sleep for 3 hours? You better start building good sleeping habits. Because of the fast-changing lifestyle, people tend to prioritize other things over health. When you are running late in the morning, you go and grab sodium enriched food in a drive-thru rather than cooking healthy. If you need to go up from the ground floor to the second floor, you'll choose to ride the elevator instead of using the stairs. Same as when you play your favorite online game until midnight and sleeping very late. All of these are effects of the millenium. We just realize that it's too late when we see ourselves bedridden. The only time that our body could relax and regain strength is when we sleep. When we feel drowsy, our body wants to convey that we urgently need to rest. 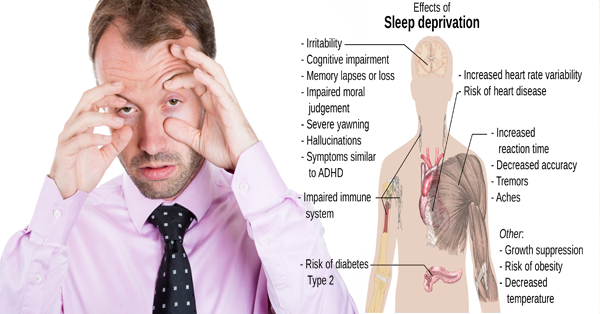 So, imagine if we deprive ourselves with sleep? The effects could really be disturbing. The key to get enough rest is time management. Get rid of those unimportant habits and give your body a simple treat of 7-8 hours of 'closed eyes.' Do not wait until the only option for you to have is to sleep 6 feet under the ground. "I have never really thought about how this might affect to us badly .. I think that's why sleep should never be looked on as a nuisance or waste of time. . It's an absolute necessity for human health and longevity.